C. Bechstein grand piano L 167: a grand piano of the masterpiece series. The professional grand piano in the compact format. Despite its relatively small size, it allows the realization of any musical idea in exquisite quality. All the features of the larger models are adjusted proportionally, including the Duplex Scala. The pleasant touch is unmistakably associated with sensitive, amazing sound resonance. 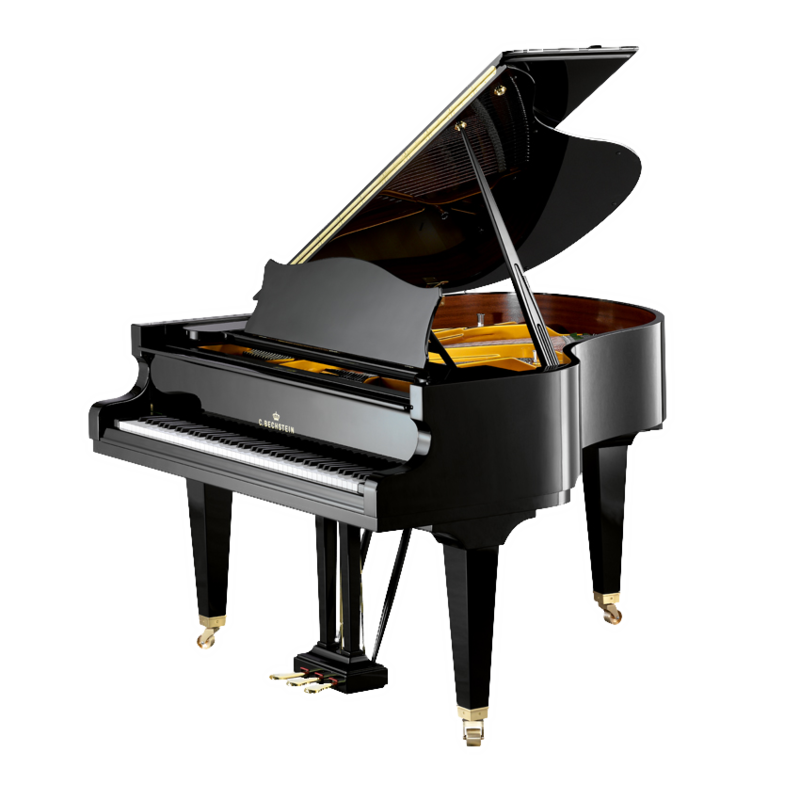 Worldwide, this grand piano is regarded as having the finest and most professional sound among small premium models. The C. Bechstein grand piano L 167 has, like its brothers, a very long tradition. In recent years, only C. Bechstein, Germany allowed itself the luxury of making sound and structural aspects of piano music’s golden age come to life again. The conditions at the German manufacturing site creates out of each of these grand piano personalities a work in sound refinement. Here arises the magical sound that has charmed generations of great musicians.Bechstein links the tradition of great piano music history with the requirements of modern pianistics. Artistic and festival directors rave about the comeback of the great grand piano tonality. Pianists praise the smooth, precise and sparkling playability of C. Bechstein’s masterpiece grand piano series. C. Bechstein grand pianos are forged by the elite of German piano building. For years, latest research has examined and tested the optimization of materials and production details in minutest detail. Be inspired every day, C. Bechstein instruments are balm for the ear, heart, eye and hand.